we really enjoyed our visit to nyc for my birthday (here and here). 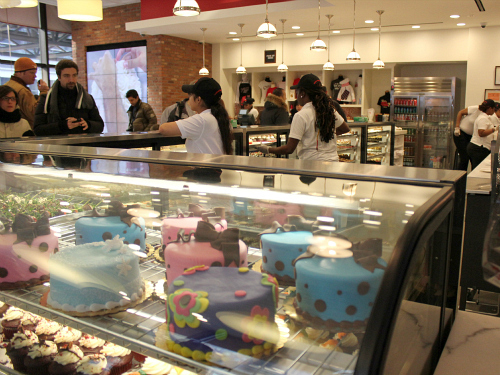 while we were in the city on sunday, we decided to make a quick pit stop at the new cake boss cafe that just opened. 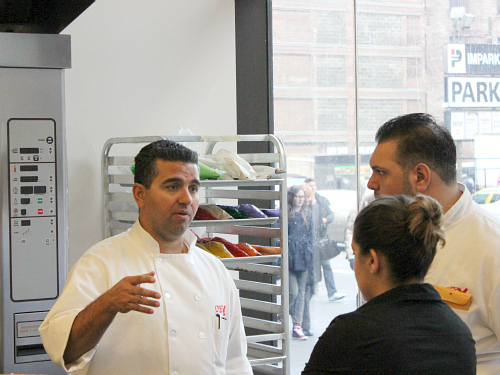 we are fans of the cake boss tv show on tlc, and we were curious to take a peek at the new cafe. 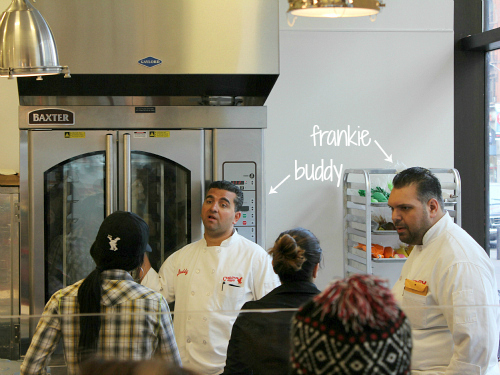 when we walked in, we were so surprised to see that buddy himself was there, live and in person! it was very cool! 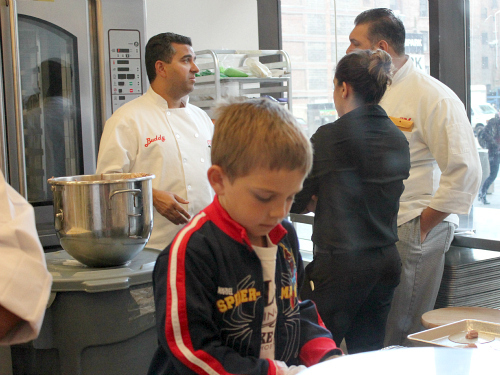 we also recognized a few other members of carlo's bakery from the show too . . . The pastries looks delicious. 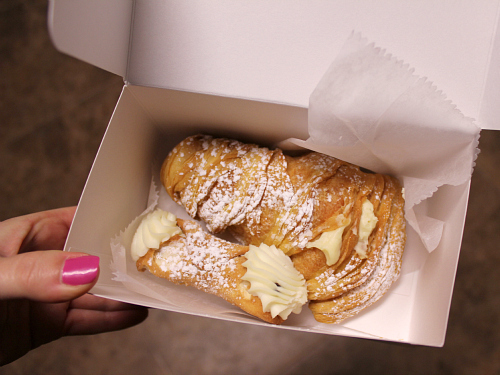 Do you remember the name of the place that we got the Lobster Tail pastries at? I don't think it was Vinny D's. What about that place on 611 near the library that was a meat market and they brought in pastries from NY? 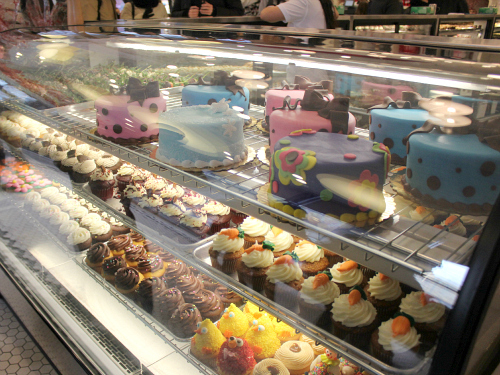 That bakery looks like your kind of place. The cannoli looks especially yummy. Oh wow! That is so awesome! 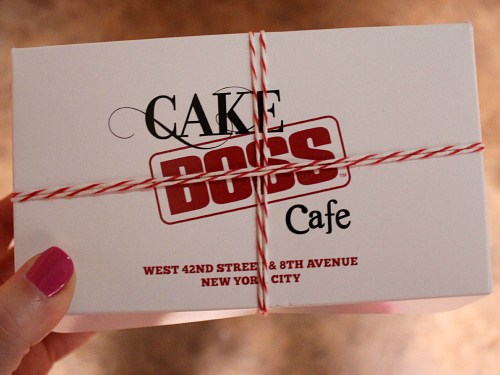 :) I occasionally watch his show and they make amazing looking cakes. I love lobster tails- so rich and yummy! 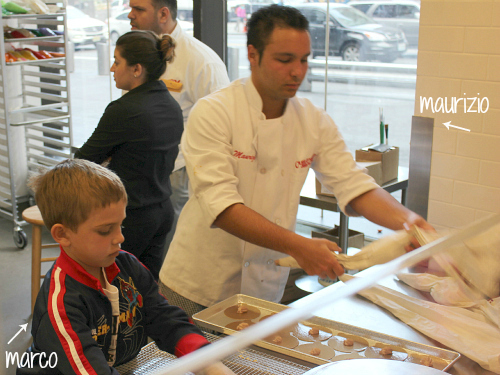 There was an Italian bakery where we used to live who made such yummy ones.